My wife and I took some time in September to drive down to Kentucky and visit a couple of Bourbon distilleries. This picture is my favorite one from that day. 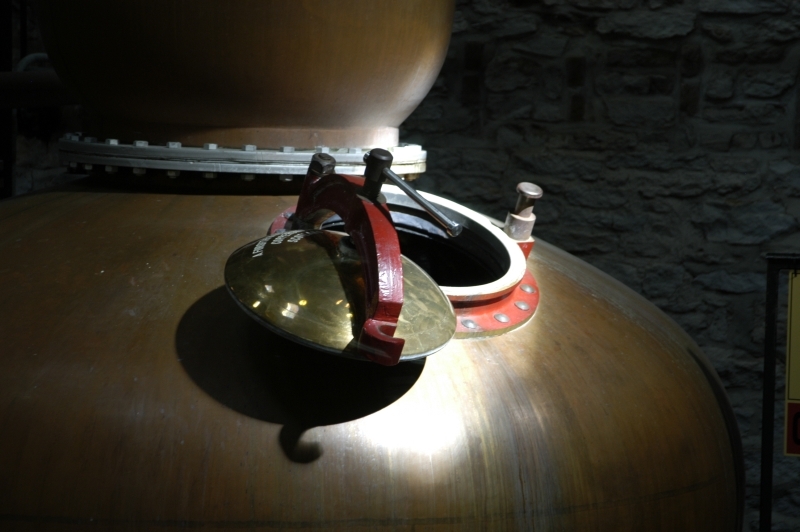 It was taken at the Woodford Reserve distillery in Versailles, KY. It’s a picture of one of their three copper stills. It was taken with a Nikon D100 using available light (1/30 sec @ F4.5).